With most of the manufacturers already having launched their flagship devices, all we have left to wait is Google and their next Pixel lineup. During the weekend we reported that Google is preparing a Snapdragon 710 for early 2019. Today, a new info about new devices from Mountain View appeared on Twitter, thanks to the serial leaker Steve H. According to his sources, the Pixel 3 will have a 5.3” display, while the Pixel 3XL will have a 6.2” screen with a notch on the top. Google usually announces its phones at the beginning of October and we doubt this year will be any different. The information, however, is in line with earlier leaked photos of glass panels. 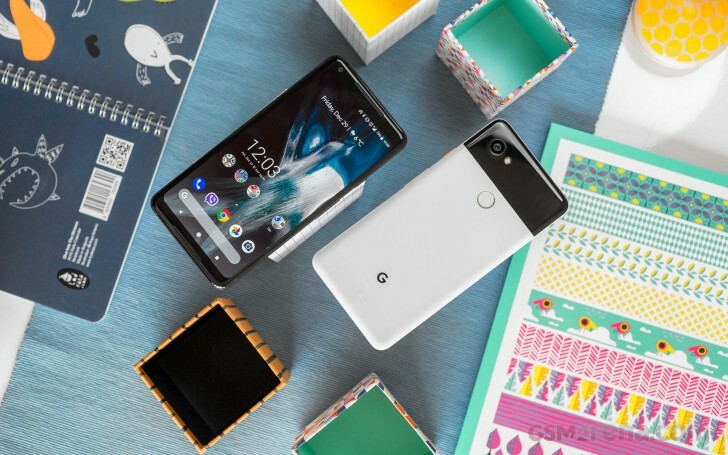 They also revealed stereo speakers on the front could be introduced with the third iteration of the Pixel phone. When the phones arrive this fall, they will most likely have Snapdragon 845 chipsets and Android P out of the box. Time will tell if Google will jump on the dual (or even triple) camera bandwagon or will stick to its one sensor with unique image processing. FYI the second generation Pixels already have stereo speakers.